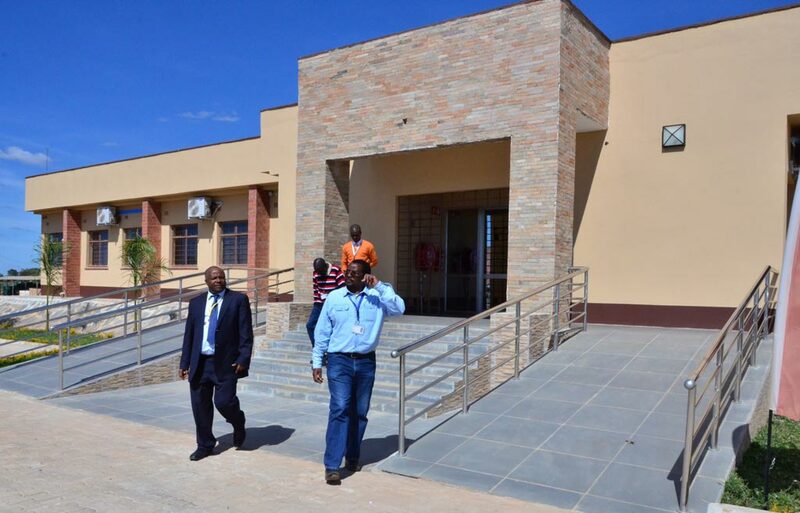 On 24 May, IITA Director General Nteranya Sanginga was at the new Southern Africa Research and Administration Hub (SARAH) campus at Kabangwe, Lusaka Province, Zambia, touring the facility and interacting with staff based there. The visit to the campus coincided with the attendance of the DG to the 2016 African Development Bank (AfDB) annual conference held in Lusaka on 23-27 May, during which he also delivered a presentation about the IITA-led TAAT program and the African youth-in-agriculture initiative. The DG’s visit came on the heels of similar visits by the DDG for Research-for-Development, Ylva Hillbur, the previous week and by the DDG for Corporate Services, Kwame Akuffo-Akoto, two weeks ago. The DG was welcomed to SARAH by David Chikoye, IITA Director for Southern Africa. Along with other scientists and staff, Chikoye showed DG Sanginga around the campus, briefing him about the various on-campus research and administration facilities. The DG also met some members of the Zambia IITA Youth Agripreneurs, who were on site for a training activity. “Congratulations on your new ‘home’,” DG Sanginga told staff. “This new facility is a testament to our commitment to our R4D work in this country and in this region. Basically, we are saying that IITA is here to stay for the long term,” added the DG. “I remember when I first visited Zambia as IITA DG and donors were asking me where our research facilities were as they were looking for proof that we are not some fly-by-night entity. I promised them that we will be investing and building our facilities here. Although it took some time, that promise is now a reality,” DG Sanginga recounted. 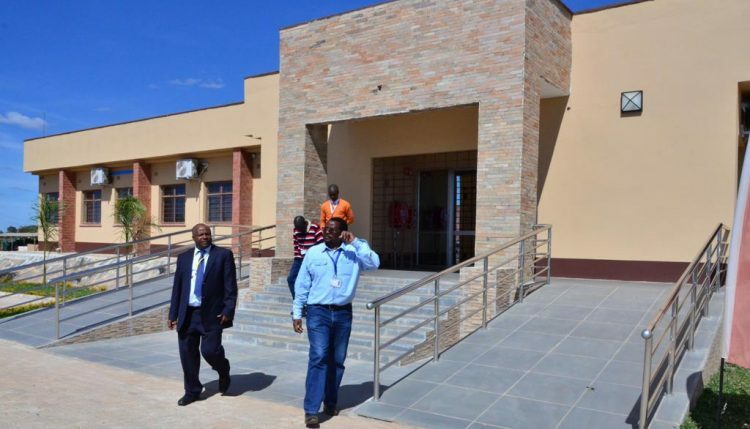 “As the first step [of building this campus] has been taken, we now need to look forward to increasing and improving the facilities and services that we offer,” Sanginga added. He enumerated, among other things, the addition of laboratories, a youth training center, and Business Incubation Platform (BIP) units as priority plans for SARAH. “I have also received inquiries from other CGIAR centers operating in Zambia about the possibility of having their offices hosted here [at SARAH],” DG Sanginga revealed. “I am confident that this will happen, just like in Ibadan, but we do have to build this campus up first to its full potential as a state-of-the-art agricultural research campus as contained in the SARAH Master Plan. We will achieve this,” he assured everyone. At the meeting with IITA-Zambia staff, the DG also hinted at plans for his second term as IITA chief if the Board of Trustees approves. “If I continue on as DG, I would have to raise the bar even higher―doubling IITA funding and staffing from what we already have today, and continuing to improve and add more infrastructure across the regions to support our R4D work in Africa,” he stressed. “To this end, I ask for your cooperation and help in making sure that we, as an institute, continue with our successes,” he concluded.